BounceX, the leader in cloud-based behavioral marketing and Inc.’s Fastest Growing Software Company, closed $31 Million in growth capital financing from Silicon Valley Bank (SVB) and its original venture investors last month. The new capital will be used to make strategic eight-figure acquisitions, significantly expand the company’s engineering resources, and invest in its proprietary database and device graph to support its growing list of clients. The company has demonstrated an accelerated growth in the last three years, backed by $1.5 million in seed funding. Urban spoke about the changing dynamics of behavioral marketing and what keeps the company focused on deepening the breadth and depth of its proprietary consumer database. MTS: How did BounceX plan this funding round? What are the factors that prompted your investors to believe in your product and company culture? Ryan Urban (Ryan): Investors certainly see our runaway growth over the past few years as a testament to our strategic vision and unwavering focus on performance. But it’s also hard for them to miss our incredibly strong and diverse company culture–one that continues to gain recognition by industry peers as the Best Place to Work. MTS: You were nominated for the 2015 EY Entrepreneur of the Year? Tell us about your contribution as a leader of a martech company and how it helped in acquiring more funds for the business. Ryan: I see my biggest role for the company as setting an ambitious vision and doing what I can to bring in smart and eccentric people to make it real for our clients. Oftentimes it can be tough to stay focused because there are so many potential opportunities we can investigate with this amazing team, but part of my job is to keep the company focused on the mission at hand. I’m proud that we’re consistently hitting and exceeding our goals and believe that’s what our investors continue to respect about us. Ryan: We’re planning to make strategic eight-figure acquisitions over the next few years, significantly expanding our engineering resources, and continuing to invest in our proprietary database and device graph to support our growing client base. MTS: Are you looking to invest in new markets and technologies? Please elaborate on the technologies. Ryan: We will constantly be researching and investing in markets and technologies that enhance the efficacy of our consumer data, increase the precision of our identification capabilities and provide performance for our clients. MTS: Are you planning to launch Marketing Automation platform as part of your growth plans? Ryan: Not in the foreseeable future. 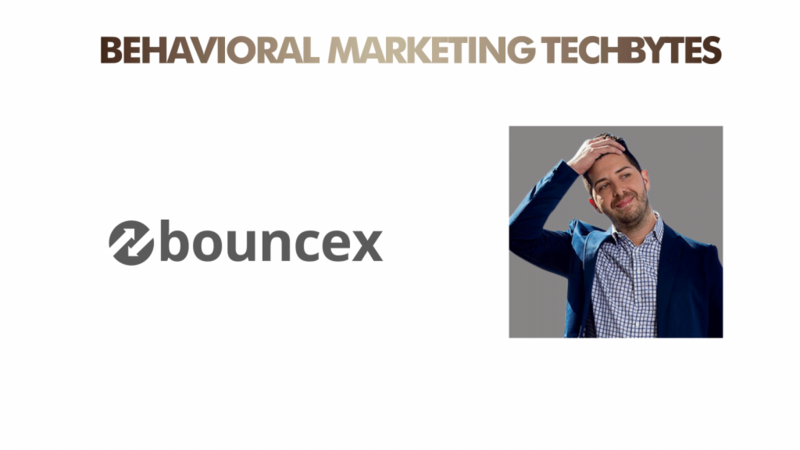 MTS: How does BounceX leverage behavioral data to provide marketing insights? Ryan: BounceX is founded on the principle that consumer data is central to every interaction a brand should be having with their audience. 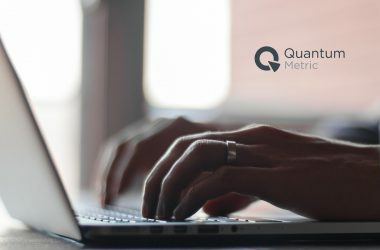 Not only do we use data to identify visitors across devices, browsers and channels at phenomenally high rates, we look at a wide spectrum of on-site and third party data to find non-intuitive information that can inform personalized messaging, timing, channel preferences and more. One big trend we are absolute proponents of is the use of “dark data.” Companies are sitting on a goldmine of unactivated, siloed information, but aren’t capable of using it for consumer insights and relevant impactful interactions. MTS: What is the difference between Account-Based Marketing and People-Based Marketing? Ryan: Account-Based Marketing is still a probabilistic approach to targeting specific accounts with communications. People-Based Marketing, at least as defined by BounceX, is a deterministic way of targeting and communicating with individuals based on their distinct behavioral profiles, on any device, browser or channel they chose to engage on. MTS: Help us understand the difference between Audience Data, Device Data, and Identity Management? How is analytics different for each of these from behavioral marketing Point of View (POV)? Ryan: The way that BounceX looks at data is a bit different than the way that most organizations look at data, specifically consumer data. I’ll reframe it to be Device Data, Audience Data, and Identity Management to explain the sequential way that we understand data and leverage it for more effective communications. From a BounceX perspective, the Device Data is the association of individuals with their owned, connected devices. This type of data bridges the gap that exists between the way that people interact with brands (multi-device, multi-browser) to the way that brands have historically been marketing to their consumers (single-device, same-session). Audience data is the 1st party data that brands have on their consumers, including but not limited to their CRM data. Audience data consists of all interactions a consumer has with a brand, and through device data, can all be tied to an individual, regardless of the device, browser or channel that the consumer chooses to engage on. This creates a holistic view of the consumer and unifies all data and information for truly actionable insights. Create and execute the most relevant, and timely people-based communications. MTS: There is a lot of ambiguity around Data Privacy from a consumer POV, as well as from Marketers’ POV. Could you help with a benchmark definition? Ryan: Data Privacy encompasses a lot of important issues, from the use of personal data (PII) to the security of the data when it is being stored by a company. In short, consumers deserve to have their identity and their data secure and used within the limits of the law and the regulations that govern our industry. At the same time, both companies and consumers know that data has become a sort of currency in itself, and many consumers are willing to trade data, or even some level of privacy (think Facebook) for features, convenience, and other benefits. As long as that tradeoff is clear, that is a positive interaction between both parties. MTS: Do you think Mobile-First brands have to find better ways to tackle Data Privacy issues related to consumers? What are the possible action plans for such marketers? Ryan: The two big categories are either app-based or distribution through platforms. When you have your own app, you have the responsibility to manage Data Privacy outright. However, in relation to the earlier question, it is unrealistic to assume that companies are going to police themselves more heavily than the law or more heavily than consumers expect or even want. Banks have apps, and millions of consumers use them. Consumers want convenience, and data drives that convenience through personalization. 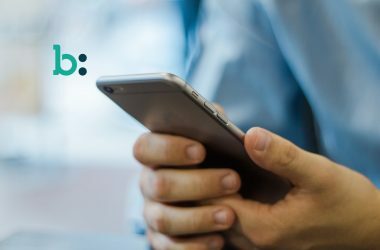 To make these interactions secure, it’s important for apps companies to be constantly aware of updates made by their tech partners, by the hardware manufacturers and to share their policies openly with consumers. Today, consumers expect that their data is collected, but they also expect it to be safe. It actually hits right at the core of why we have such great relationships with our clients. They are totally OK with a data-driven marketing future, but they just want the tools to help them do it. They want to keep their creative strategies and be empowered to add data to those strategies, not to abandon creativity because they are so bogged down with the manual, technical elements of data-driven marketing. At BounceX, our philosophy is that there can’t be tedious work for the client, even if there is a lot of complex techs and decisioning on the back end. If it seems approachable, it means the tools fit into the way marketers are thinking, and then they can accept them as part of their every day. That’s how data can work its way into their plans. MTS: How do you see newer AI-based and predictive technologies impacting behavioral marketing automation services? These technologies are absolutely the future of our industry. Consumers expect intuitive interactivity. Chatbots, personalized shopping, these are all driven through AI. Not only that, but subtle things, the way you use your phone, keyboard, mouse, how a site is laid out, what wording you prefer for things like “shopping cart” or “sale” – AI understands preferences, and makes experiences better, more successful. Here is where tools can help up the creative ante for marketers, too. MTS: Which startups within MarTech/AI have impressed you recently? MTS: Which book/ author are you reading currently? We are biased to Dr. Robert Cialdini. The effect that Influence: The Psychology of Persuasion, and his latest book Pre-Suasion: A Revolutionary Way to Influence and Persuade have had on the strategies that built our business are profound. MTS: Thank you, Ryan, for speaking to us. We look forward to having you very soon again at MTS for more insights on MarTech. Previous ArticleAnimoto Survey Reinforces the Importance of Videos for Brands and ConsumersNext ArticleIs All That Big Data Making Your Head Spin?